My Introduction and a couple of thoughts! I'm here to learn how to design and build 1/32 and 1/24-25 scale dragster and funny cars. I am especially interested in building a 1/32 scale 1/4 mile track (it's smaller and fits well in a home garage) and the cars to go with it. If you have any experience with 1/32 scale chassis creation, please contact me. I'm an inventor and this is something I think I can wrap my skills around. Developing affordable chassis, cars and track accessories so anyone can afford the sport. It has become a really expensive sport and that may be why there's a decline in the industry. I have some thoughts how to change this. Here's my thoughts about slot car racing which I hope some of you will exchange ideas with me. My first major thought is that 1/24 scale tracks are so fast that it's too fast to be fun. What do I mean? Top Fuel dragsters and funny cars make an average run at 3.7 seconds / more than 330 mph. A local track should restrict times to this by adjusting the power to the track. No car should be able to complete the track in anything under 3.3 seconds. Right now, tracks are completed in a tenth of that time! Nobody would want to go to a race when the cars were so fast, they were blurs. Slowing the cars down would be better so all of us could watch the race. I viewed the NHRA class times and posted them as a reference in case someone wants to experiment. As a Top Fuel car is the fastest in the NHRA, then it should get the most power on a scale track too within the range I stated earlier. Pro Stocks should run in the 6.5's at around 210 mph. For simplicity, I'd like to see it run as running with a break out time set. It's fun to guess what your car will do but it's not when it's got way to much track power. Instead, maybe a car and chassis with track power to hit in the 7's or 8's. We aren't racing for money and National rules are really strict, which I'll guess scares away a lot of people that would otherwise get into the sport. Some experimentation with dialing in track power could make it pretty exciting for anyone. Then if there are big National points races, well then go ahead and run by those rules. For the average dad and kid, simplification is a better way to go. Build the cars and race them in the class they are scaled after. My guess is there will be more participation and more cars built in different classes by doing this. One last thought why I think this would work is I teach psychology at a university. My students aren't the same students we were (I'm 60). They are used to instant gratification and technology. Everything is easy for them. Slot car racing hasn't adapted well to the changing times but it is make a resurgence. I beat the issues of teaching students in my classes by forcing them to use their cell phones to complete assignments instead of block me out texting or listening to music. My students grades jumped from a 2.0 range to a 3.5 range with most improving at least one point up. I think the same applies to racing. Okay, that's my ideas about racing. Go ahead and thrash me for opening my mouth. Welcome Mike, always great to hear a fresh outlook. I am focused on 1/24 cars. Mainly because that's what inspired me from the age of 15 in 1967. So if your not stuck on 1/32 you will find lots more bodies to choose from. I do like your idea of turning the power down. Makes the racing more enjoyable IMO. I did find this, and I do see the attraction of 1/32. How much space do you have? For the home enthusiast, I would dare to suggest doing the 1/8th of a mile as the obvious answer. I rounded to very approx the inches, but you get the idea. 1/8th of a mile is a good distance. Learning to build these things requires more learned skills (basic cutting, soldering, preparation) and a basic understanding of physics, as well as understanding and trying out proven designs, more than any formal stuff. With many decades of history behind us, not much is new under the sun, except at the very highest, most expensive and fastest levels. As for your thoughts on absolute speed limits, just as is the case in full-size racing, slots has developed class restrictions that pretty much handle all that and even more so. The way it stands, there are classes of racing that cover everything from way-slow to so-fast-it's-all-a-blur. People can pick a class and style that best suits them, and many have strict rules on motors and other factors that more-than-cover the speed thing. ultimate speed is not for everybody & not everybody can complete at that level. my cars are fast enough for me to enjoy & keep it on the track. do what's comfortable for you & enjoy this hobby as it was intended. HI mike! I understand what you are saying. 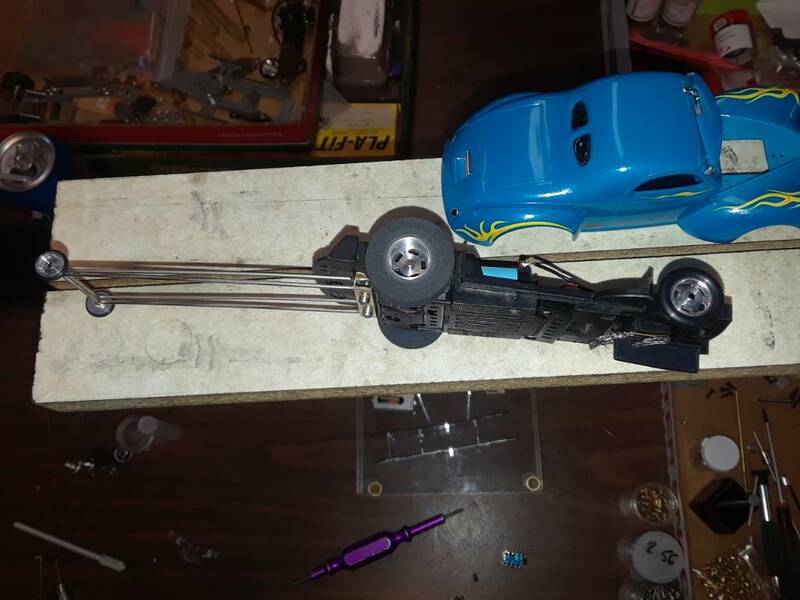 I've done a little drag racing myself, slot cars as well as full size. Faster is not always better. The slot car tracks I raced at had minimum e.t. of 1.899. Lots of racers show up at the track with 20 or more cars. Adding a slow car class would be really cool. Might bring in some new blood,too. I, myself could go for that sort of thing. Might be a hard sell for a lot of the guys, though. If you haven't already done so- check out Unca Frank's drag race page. I feel better now that more people jumped on here with thoughts and comments. Just so everyone knows, Fast is great. I raced Formula Fords in the 80's (real cars) and one thing I loved was having some control over the car. Push a button and going full on at a blur isn't fun for younger kids. Yawn. Our slot cars back in the day weren't as advance as they are now. I raced at my local track with my old green Lola GT and loved it. I lost interest when it kept flipping off the track in the corners after I upgraded the motor. I'm going to guess here that it might have been the problem and caused the decline back then. We can't blame computer games or TV because one didn't exist and the other was mostly black and white. LOL So, I just thought it would be cool to slow it down a little. I understand there are classes in slot racing. I was surprised that people are earning money racing. I'm in it for the fun, not spending megabucks. The group that I race with slow down cars when needed to make racing equal and the cars more stable. We run 60's style brass chassis with no moving parts. H&R, Protrack, Womps made longer, and flat brass soldered together chassis. We stick to 21K motors and 1 inch rear silicone coated tires. Mostly hard bodies, but to save me time on repairs, we are trying a few vac formed bodies. We race for fun and don't take it too serious. When it gets serious, it gets fast, it gets tricky and winning becomes real important. That's not as much fun as guys kidding around and laughing! The Willys is really cool. This is what I was talking about. As for making bodies, I can build a vacuum table, I have a 3D printer and I'm sure I can find a way to make the car bodies easily enough. Well done! Hi Havlicek, I invent stuff and solder, weld, woodwork and more. I'm very competitive and also enjoy souping up any car, big or scale replica. My concern is more about making it fun and affordable for families with kids. Kind of start a new generation. 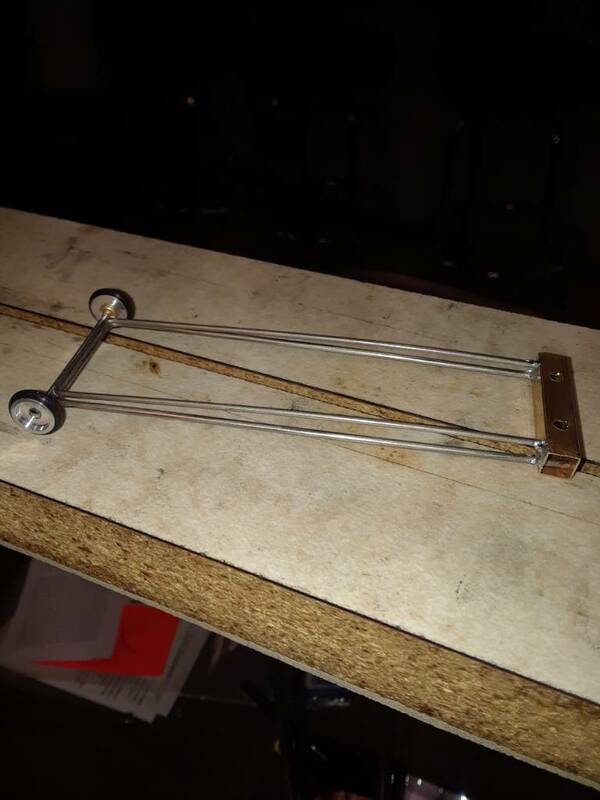 In fact, I have a friend that has created a drag racing track with a stick shift configuration. 1/43 scale. Click the link to see his track. This is innovation. https://www.youtube....h?v=ivsKFXXcwvc The smoking, the sounds, everything is triggered by the position of the car. Here's a link to his build page: http://www.fiberopti...Drag_Racing.htm He designed the track and everything on it. The cars even have parachutes that pop open. While the website build pages are a little corny, the guy is a genius. In general, racing involves shifting every 62" on his track. I think it's HO or 1/43 - pretty sure HO. Anyways, miss the shift light and the car slows a fraction. At the end, you pop the chute, then cruise around the side track and back to the start again. I want to go to this level with a 1/4 mile track in 1/32 and 1/24 scale. Whaddiya think? You're grinning. Team Burrito, Mark1, Dave Crevie. Watch the video above and tell me what you think. Could this be a game changer? If he can do this with HO scale, imagine with 1/32 and 1/24 scale? Shifting gears and parachutes to slow down... Yeah, I'm grinning big. I love this. I completely agree. Too fast with everyone overly serious spending mega bucks isn't fun to most people. Would I want to do that, no. I'd rather hang out and have fun. Do I have issues with others doing it? Nope. They're having fun too. I, like you think there's room for different types of racers.